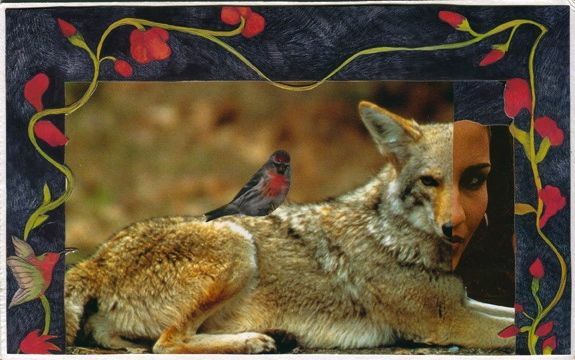 Like the surprising combination of words in a poem, a collage (an assemblage of disparate images) can evoke a mood, please the eye, tell a story, and carry a hundred interpretations. In 1995 a life-threatening medical situation inspired me to make collages to express deep emotion and reflect my inner landscape. They often become a springboard for spontaneous writing as I explore its characters, just as I would a dream. When I am not making collages, I work as a personal organizer, helping people keep their homes and businesses running smoothly. I am also a poet and translator, preparing to publish my translations of Rainer Maria Rilke’s French poetry. 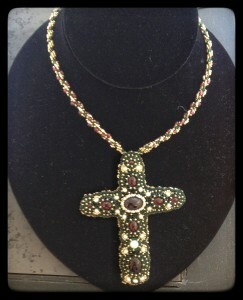 Bead embroidery, usually around a stone center piece and finished with stone or pearl embellishments. All my work is backed with real leather.The jewelry line includes necklaces, earrings, lapel pins and hair barrette. As always, visitors will find galleries, open studios, art, and artists on all three floors of the Art Center. There will also be refreshments and live music.